My Typo Humour: New Year, new job? Check your CV carefully before you submit it. Then check it again. Then get someone else to check it. Then check it again. 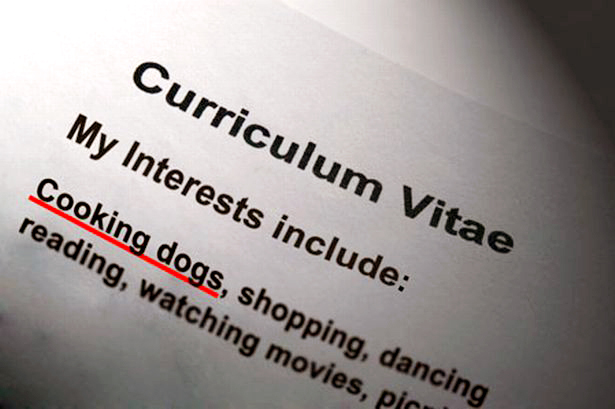 Here are some examples of typos Max Messmer has found in job applications in recent years. Mr Messmer is Chairman and CEO of Robert Half and Author of Job Hunting For Dummies. I have always been complimented for having a friendly misdemeanor. My last job was an udder disaster. Rebel in accepting exciting new challenges. I am quiet by nature and talkative. Typing, data entry, data entry. Do you have any more you'd like to share? Oh, and good luck securing that new jib.